Turbo charge your press brake. 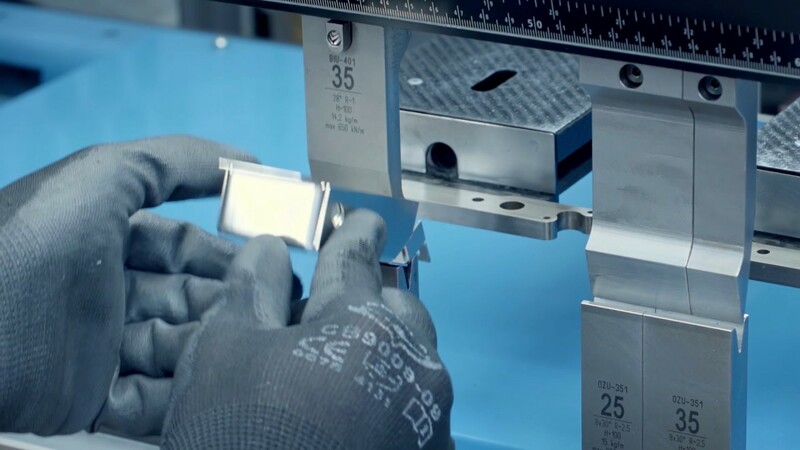 Press brake optical protection doesn’t have to slow you down. Machines with embedded RapidBend technology utilise high speed progressive muting that enables the tools to close safely at high speed until the punch is only millimetres above the material. This reduces the slow speed travel distance on every cycle for both flat profile parts and box profile parts with side flanges. RapidBend technology is available in three performance levels - RapidBend, RapidBend Plus and RapidBend Ultimate to boost machine performance and significantly enhance your productivity. 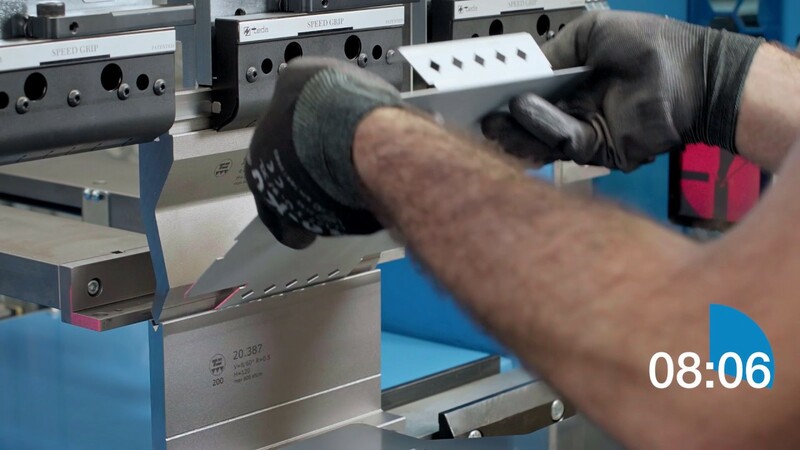 The entry level RapidBend option enables the press brake to close safely at high speed until the punch is just 6mm above the material. 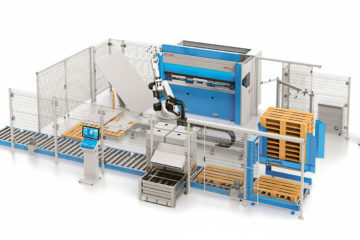 During approach to the pinch point, the machine travels at maximum closing speed with dynamic sensing enabled for various part profiles for uninterrupted closing and shorter deceleration to forming speed minimising the slow speed travel distance to the final 6mm above the pinch point. Not fast enough? Upgrading to RapidBend Plus reduces the speed change point even further from 6mm down to just 2mm above the pinch point. RapidBend Plus saves valuable time and significantly enhances machine productivity, especially in high level production environments. Why go slow when you can always go fast? RapidBend Ultimate eliminates slow speed altogether by enabling the tools to close at high speed right down to the pinch point for the ultimate in high speed performance. 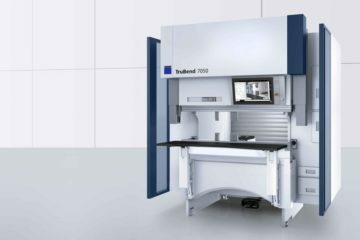 Press Brakes equipped with RapidBend technology provide users with higher levels of safety and performance that consistently outperform any other machines on the market. 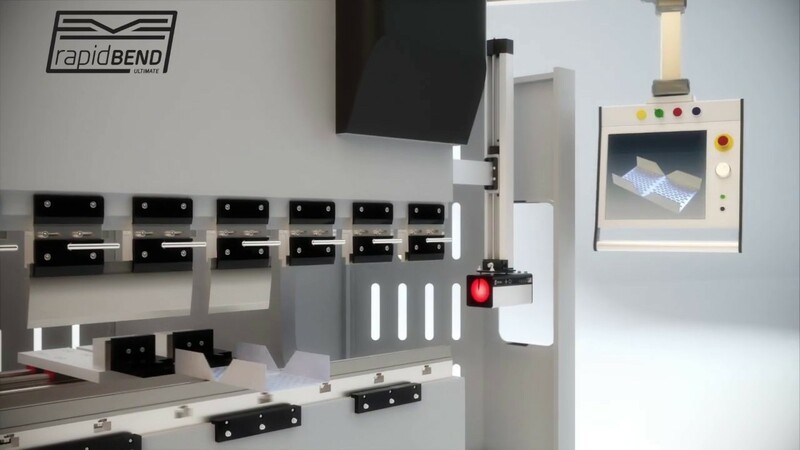 Only press brakes with embedded RapidBend technology can guarantee higher levels of performance so look for RapidBend, RapidBend Plus or RapidBend Ultimate when purchasing your next machine.